Marianne Podlashuc’s childhood witness of the horrors of the Nazi occupation of The Netherlands during World War II (1939–1945) left an indelible impression on her. To a large extent this formative experience drew her to record her impressions of suffering and deprivation when she first came to live in South Africa in 1953. Esmé Berman has noted of her that she was ‘possessed of a profound social consciousness and projects it in powerful, stylised images of lesser-privileged local communities’.1 A particularly well-known example of this was her painting entitled Three Boys, which was used as a cover illustration by Penguin Books for Alan Paton’s Cry the Beloved Country. In ways that have not as yet been fully acknowledged, Podlashuc’s open expression of her social conscience through her art prefigured the mood of much of the politically-motivated South African art that was produced when opposition to the apartheid government intensified in the 1970s and 1980s. Figures on a street, South End, Port Elizabeth (plate 99) is one of a series of paintings that Podlashuc painted of this area in 1968. South End, a mixed-race area in the central district of Port Elizabeth, was subjected to forced removals and demolition under apartheid legislation at the time. The alienation and isolation that can be sensed in this work to some extent prefigures related themes in her later paintings, when the illness and loss of her son greatly magnified these personal concerns in her painting. Given the dominant interest in abstraction on the part of most white artists in South Africa in the late 1960s, Podlashuc’s figuration was unconventional and not part of the mainstream. Her choice of subject matter, which revealed a sense of social consciousness to what was happening around her was also somewhat daring. To a large extent she prefigured the resurgence of realism that was to take place in South African painting in the later 1970s under the influence of the New Realists in the United States. Podlashuc’s earlier and more ‘expressive’ realism of the late 1960s, which was based on observational drawing as seen in this example in the Campbell Smith Collection, gave way in turn to a realism that was more heavily based on photographic source material and a study of American New Realism. The latter she was able to see on a number of visits that she made to the United States while seeking specialist treatment for her ailing son. In the paintings produced up until her death in early 2004 she nevertheless continued to manipulate colour and space to her own expressive ends with an acceptance of the limited facture of the medium of acrylic paint. 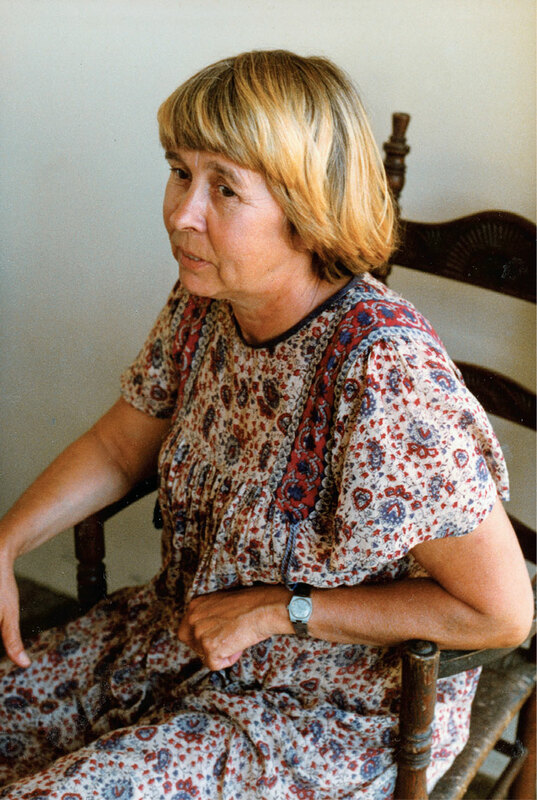 Esmé Berman.1983. Art & Artists of South Africa. A.A. Balkema: Cape Town and Rotterdam, p. 337. Born Delft, The Netherlands, 1932; died Cape Town, 2004. Training 1949–1952: Academie voor Beeldende Kunsten in Rotterdam. Selected Exhibitions 1958–1968: Founder member of the Bloemfontein Group and regular exhibitor with them in Bloemfontein, Kimberley and Johannesburg. 1961–2003: Participation on numerous group exhibitions throughout South Africa as well as joint exhibitions with her husband Alexander Podlashuc. 1977: Solo exhibition, William Humphreys Art Gallery, Kimberley. 1981: Republic Festival Exhibition. 2006: A Woman from Delft: The Art of Marianne Podlashuc (1932-2004), Old Town House/Iziko Michaelis Collection, Cape Town. Collections Iziko SA National Gallery, Cape Town; Nelson Mandela Metropolitan Art Museum, Port Elizabeth; Hester Rupert Art Gallery, Graaff-Reinet; William Humphreys Art Gallery, Kimberley; Pretoria Art Museum; Johannes Stegmann Art Gallery, University of the Orange Free State; Sanlam Art Gallery, Bellville, Cape. Marianne Podlashuc. Photograph courtesy of Alexander Podlashuc.